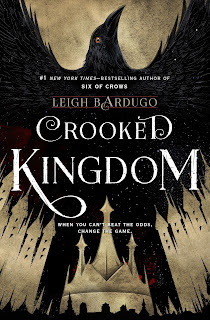 Good Choice Reading: NEW: Crooked Kingdom by Leigh Bardugo Virtual Signing! 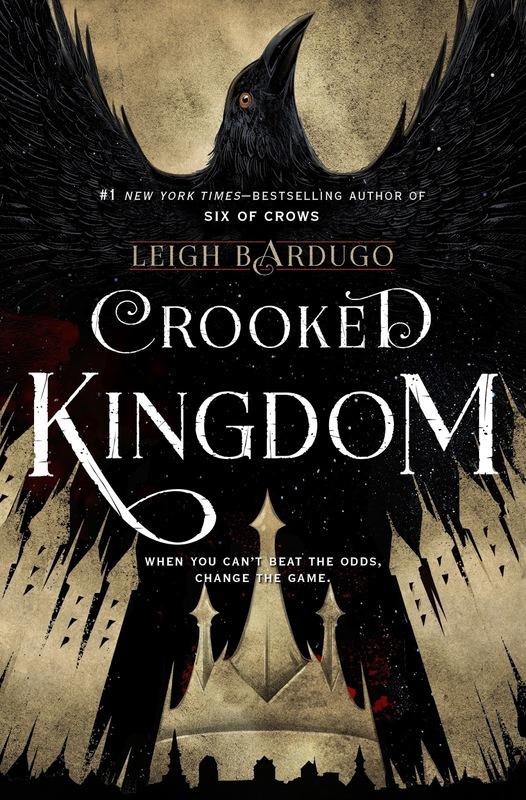 NEW: Crooked Kingdom by Leigh Bardugo Virtual Signing! Today we bring you a very special virtual signing! 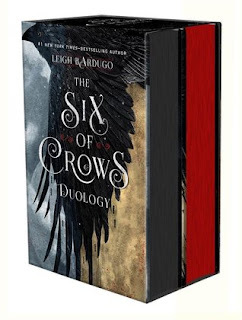 For a limited time only you will be able to pre-order a signed personalized copy of NYT Bestselling & USA Today bestselling author, Leigh Bardugo's CROOKED KINGDOM (or duology set: Six of Crows & Crooked Kingdom). EVERYONE who pre-orders a copy, starting today through September 16th, will get a FREE CROOKED KINGDOM tattoo sheet! Yes, international readers as well! Please make sure to read the terms & conditions below before placing your order. There is also a FAQ at the bottom of this post. This event ends September 16th at midnight. All books will be purchased at Barnes & Noble on release day. All books will be signed and personalized by Leigh Bardugo during release week. All packages will be shipped Wednesday, September 28th. All books will be shipped via priority mail in a padded flat rate envelope or depending on the size of your order, a flat rate box. This also includes a free tracking number and free insurance on your package up to $50. Your package will be shipped to the mailing address listed on your PayPal account. If this is not the correct address, please email Events@goodchoicereading.com immediately. Refund policy: returns are allowed as long as the book has not been signed by the author. Once the books is signed/personalized we cannot grant any refunds. Below there is an option to enter your email address and the name you’d like Leigh Bardugo to sign in the book. Please double check spelling. The email address provided is the email we will use to contact you should we have any issues or concerns. GCReading, Barnes & Noble, Leigh Bardugo, nor Macmillan are responsible for any lost, stolen, or damaged mail. Your package is insured and you will have to file a claim with your local postal office. If you have ANY questions or concerns, please email Events@goodchoicereading.com or tweet @GCReading for a fast response. You have TWO options below. You can purchase CROOKED KINGDOM to be signed and personalized. Or you can purchase BOTH books, SIX OF CROWS & CROOKED KINGDOM duology box set. You will have to add both books to your cart. Shipping & Handling is added at checkout and it goes according to how many books are in your cart. Tax is also added at checkout. Can my books be sent media mail? It’s cheaper. We only ship Priority mail because this insures that your package arrives 2-3 business days (6-10 weeks international – 1-2 weeks Canada), and comes with FREE insurance up to $50. Also, we are able to put however many items inside your package without risking the post office ripping your package open to view its contents. With Media Mail, we will not be able to add ANYTHING extra to your package. It will have to be strictly the book and book alone. Which means, we will not be able to send you your Crooked Kingdom tattoo sheet. The risk is too high. We’ve had packages in the past sent media mail and some arrived emptied, or ripped open. I am located international; can I purchase the books? Yes. This event is open worldwide. Shipping & Handling varies according to country and the number of books in your cart. All books shipped International are sent priority mail and are insured up to $50. You will be able to track your package. However, once it reaches your country there will be no more tracking information.